We provide a full re-upholstering service for your old chairs, saving your company money. The repair service we offer ranges from replacing a missing bolt to servicing a gas spindle to a complete replacement of the undercarriage of your chair. All the suppliers we use for products such as foam & material are bought from recognised and respected companies (see Camira Fabrics). The products meet all expected industry standards. 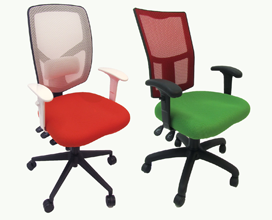 As well as recovering and repairing your office chairs we also offer a chair cleaning service. We can do this at your place of work and out of office hours to minimise disruption. You will be amazed at the difference a professional clean can make to the look of your chairs. It also has the added benefit of elongating the life of your chair. We also do carpet cleaning. Albion Chairs have been established for 20 years and have gained a reputation for providing a reliable and stylish range of chairs. Without expensive showroom costs we can provide these chairs at very competitive prices with all the benefits of the backing of a large Company.